1-piece ultra clear preformed square box. This size box is perfect for 4 truffles. Great for wedding favors! 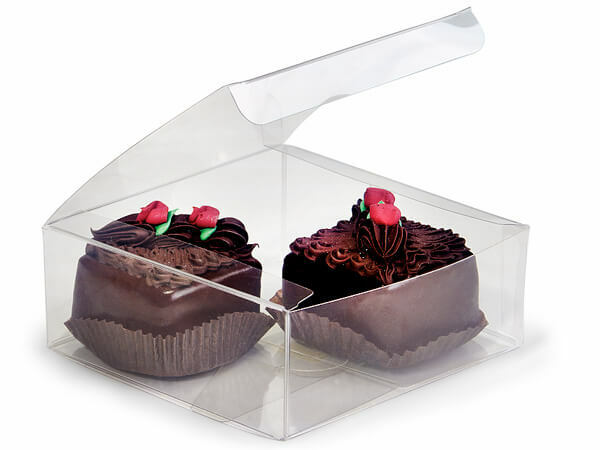 Actual box dimensions are: 4-1/4" L x 4-1/4" W x 1-5/8" H. These boxes comply with FDA regulations for direct food packaging!